Hi there, my darlings! You know, as I mentioned, Fall is my absolute favorite season and this year, all these Fall collections are killing me! This afternoon, lets take a look at Barielle's Hot Chic collection for Fall 2015. Sheer Nonsense is described as a "creamy, pale sand with pink tones." Although a bit streaky on the first coat, it leveled out qite nicely by the second coat--the swatches show two coats, topped with 1 coat of Glisten & Glow's HK Girl topcoat. 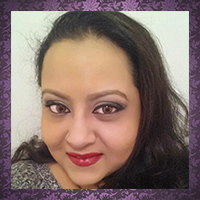 I actually quite like this neutral shade for my complexion! 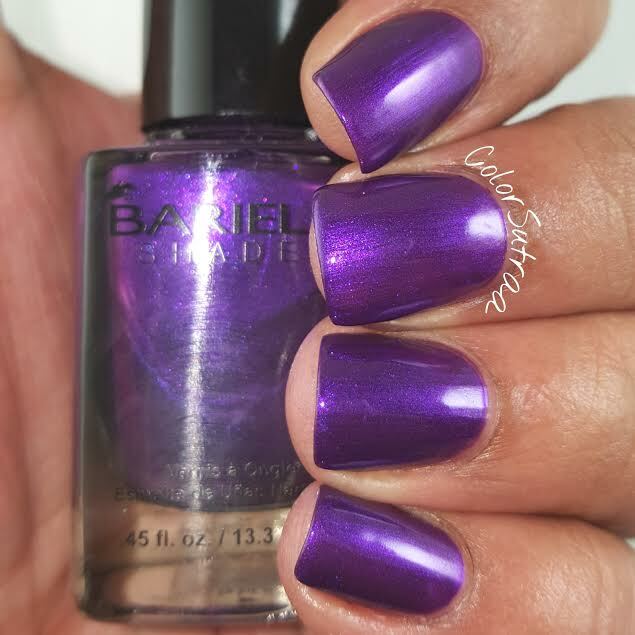 Secret Desire is described as a "bright, creamy and iridescent purple" I was worried that this one would be really sheer but as the swatches show below, it was fully opaque in just two generous coats, topped with 1 coat of Glisten & Glow's HK Girl topcoat. 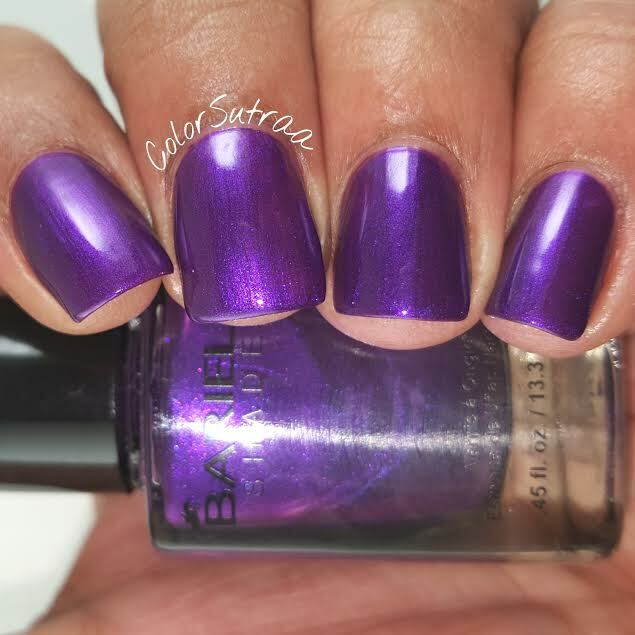 A gorgeous, vibrant purple! Harley D is described as a "iridescent brown with shimmer". 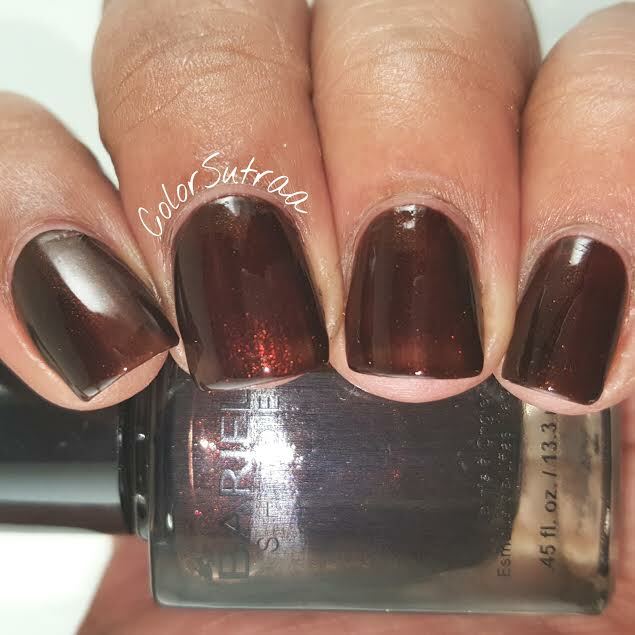 This one was quite sheer but very easily buildable--the swatches show three generous coats, topped with 1 coat of Glisten & Glow's HK Girl topcoat. The hint of shimmer is just lovely in certain lights! 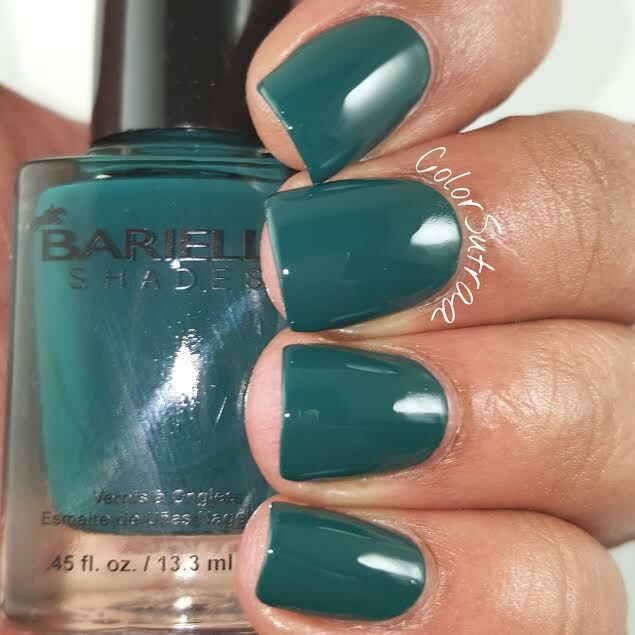 Born 2 B Naughty is described as a "creamy winter green with blue tint." 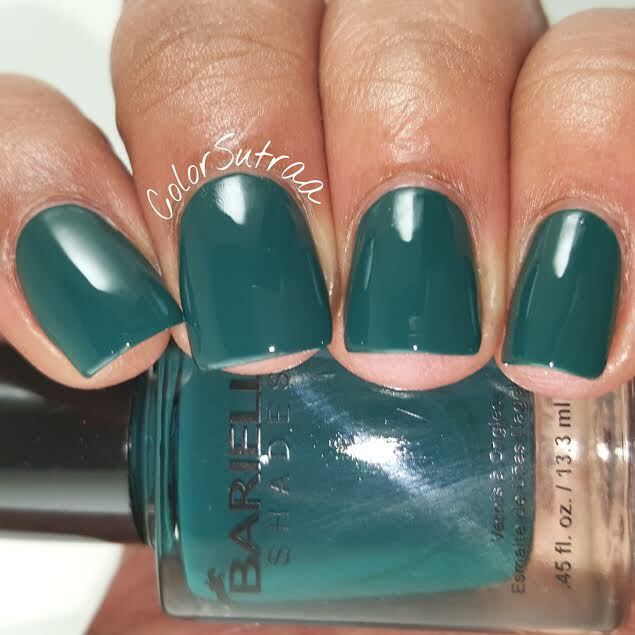 Fabulous formula and application on this one--the swatches show two easy coats, topped with 1 coat of Glisten & Glow's HK Girl topcoat. For those of you out there who love your greens, I think this one's a winner! 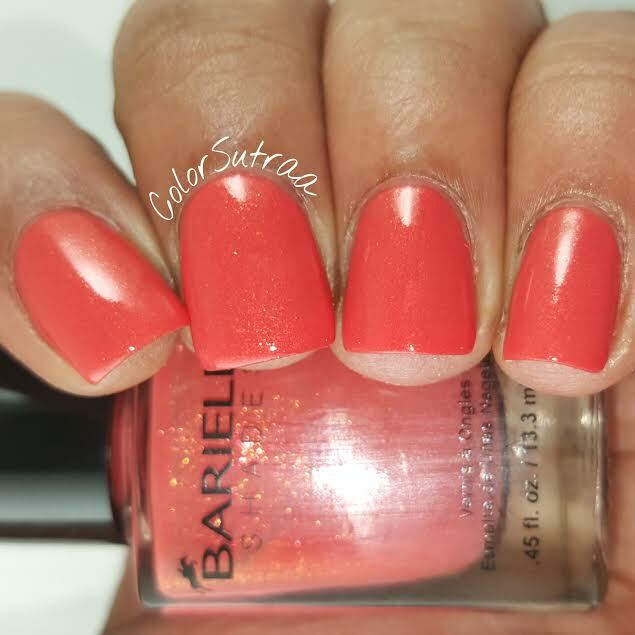 Orange U Jealous is described as a "burnt orange with shimmer" My favorite of the collection, the formula was just lovely and the swatches show just two coats, topped with 1 coat of Glisten & Glow's HK Girl topcoat. 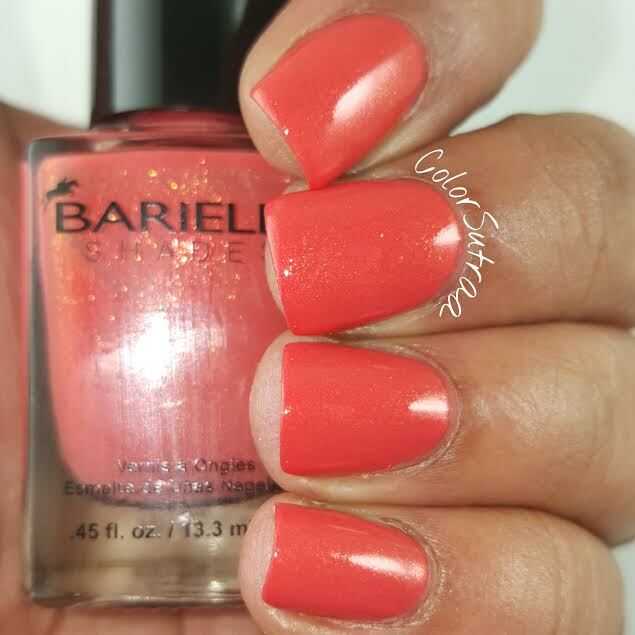 Now I never used to used oranges but this shades is so beautiful, without being TOO much, you know! 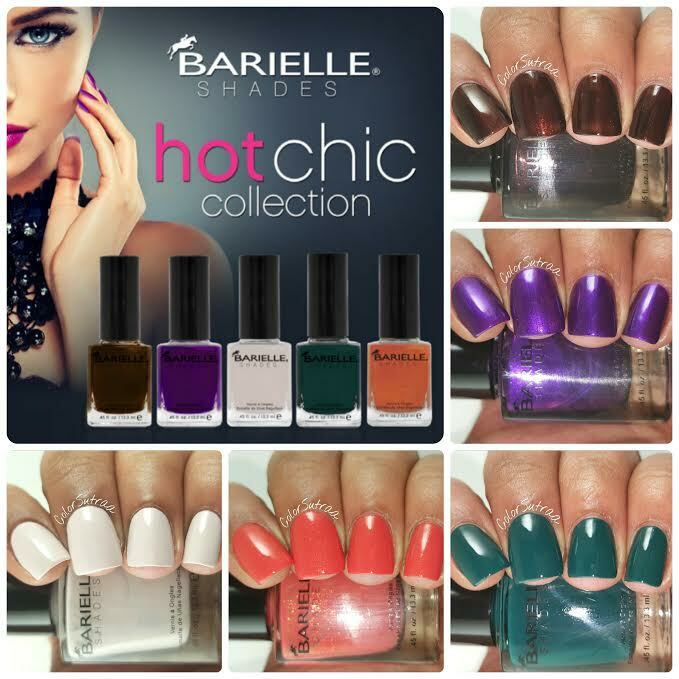 Have you tried any Barielle polishes? Which one are your faves? I'd love to hear your opinions in the comments section below! Harley D and Orange U Lealiuous or whatever it is are my faves. I need them! I love that cream shade! Love them!! 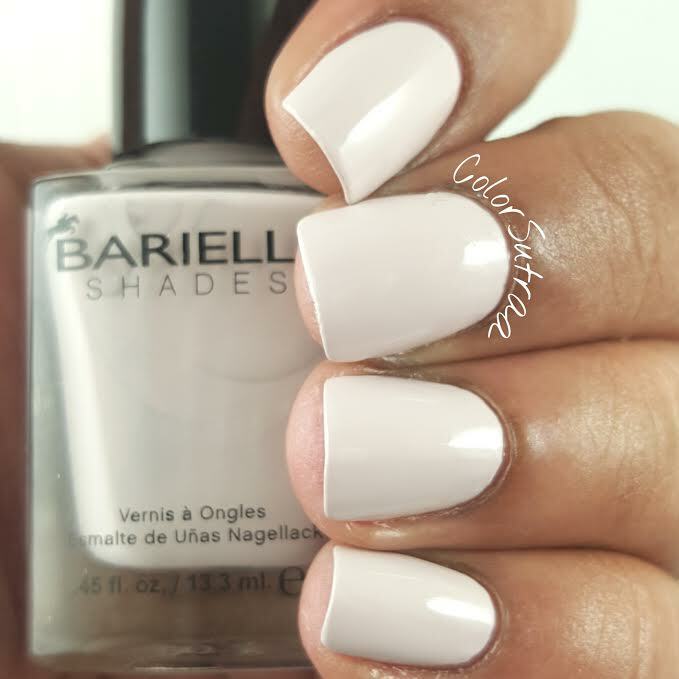 I really like the creamy pale sand shade, it looks so creamy and smooth! Go team purple - that's just stunning. Harley D is my favorite out of the bunch... I think it's so pretty and would be one I could see using. Born 2 B Naughty is WOW! I'm in love! Secret Desire is a raving, tearing beauty! 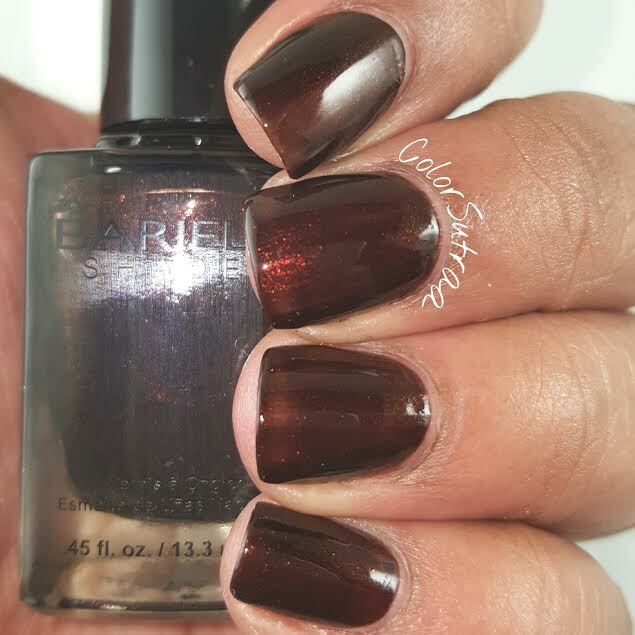 Fall polishes always appeal to me more than S/S collections. Secret Desire and Harley D are extraordinary!